Children are notorious for being picky eaters and proponents of bland food. It doesn’t have to be that way, though! There are ways to expand your kid’s palate at home or in a restaurant to get them to enjoy spicier meals. Here are five tips for introducing a little heat. Start with a tablespoon of spicy seasoning, and as your kids begin to eat the dish more frequently, add a little more kick every time you cook it. Increasing the heat at a regular pace will help kids accept fully flavored food more easily. Be ready for kids to go through phases of not eating, even if they are typically adventurous diners. Try pairing with foods they like and do not push the new tastes. Whether you are eating at home or in a restaurant, don’t make a big deal about the spice. The more you explain, the more likely your child will shy away from giving it a shot. If you play it cool, they will be less hesitant about taking a bite. Kids follow their parents’ lead. If you are enjoying the meal, they are likely to investigate why. Place the dish in front of them and begin eating yours, and your enthusiasm for the food will influence their desire to like it as well. Make sure the dish is balanced with flavor and evenly distributed heat. Avoid meals that suddenly pack a spicy punch that will surprise an unsuspecting eater. Spread sauces evenly, and make sure spice ratios make sense with the size of the meal. Be ready for a picky toddler or preschooler to refuse to eat. It is part of their development at that age to flex their independence at mealtime. To ensure your child does not go hungry, prepare one of their favorite dishes and try adding spice next time. You can also offer some dairy on the side to help dilute the spiciness. As the top restaurant for wings since 1982, Buffalo Wild Wings® is the spot to choose when you want a little heat in your meal. 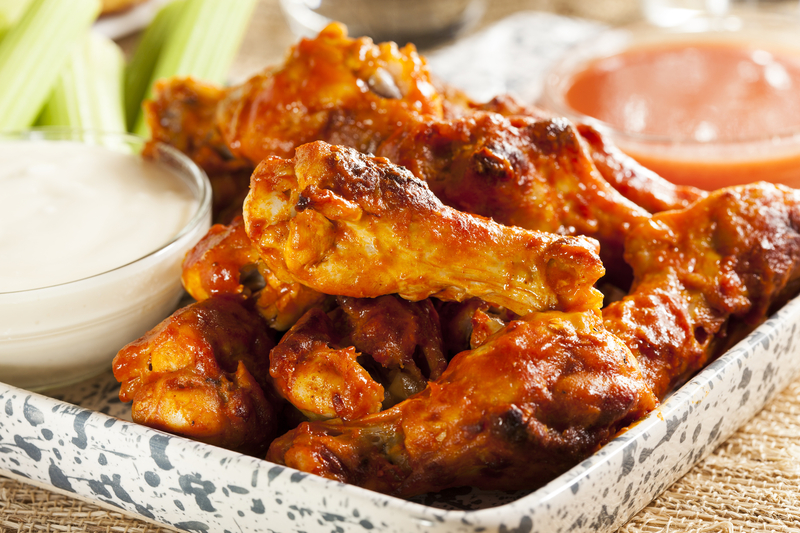 With 19 locations in New York and Connecticut, the bar and restaurant features a delicious menu of hot wings, burgers, and other American food favorites along with flat-screen televisions to enjoy the game while you dine. When you want your child to experience one of their signature sauces from “mild to wild,” head to their website to find the closest location.